The Outer Banks is home to one of America's oldest and most baffling mysteries, the establishment and subsequent disappearance of "The Lost Colony." While most folks remember the settlements of Jamestown, Virginia and Plymouth, Massachusetts as England's initial colonies in America, the earliest English settlements actually first popped up on the Outer Banks. In fact, in 1587 one of the new residents, Eleanor Dare, gave birth to the first English child in the United States, Virginia Dare, for which the county of Dare is named. Virginia and Eleanor were part of a new colony of 110 settlers who set up a community on Roanoke Island. In the months that followed, the settlers built houses, churches, and established a home in modern day Manteo. With nothing but somewhat hostile Native Americans as neighbors, the captain of the expedition and Virginia Dare's grandfather, John White, had to return to England just months after landing for supplies to replenish the Colonists' dwindling food and provisions. Unfortunately, John White was held up in England far longer than intended, due to English conflicts with the Spanish, trouble getting supplies, and inclement weather, and was unable to return until 1590. When he finally did make it back to his former Roanoke Island home, he found the entire settlement had vanished, with absolutely no lingering trace of the 110 settlers who had lived there. The only clues the colonists left behind were two words carved onto two trees: "Cro" and "Croatan." For centuries, historians and archeologists have pondered the fate of the colonists of The Lost Colony. For many years, the prominent theories were that the colonists were either all lost to disease, or were murdered by the neighboring Native Americans of Roanoke Island, who were gradually becoming angry with the new settlers when Capt. John White had left. In recent decades, historians have followed the clues left behind on those two trees, and have suggested that the colonists moved south to Hatteras Island to live with the "Croatan" Indians. Hatteras Island archeologists have found late 16th century gold pieces and jewelry in Buxton and Frisco Woods that seems to lend credence to this theory, but opposers to this outcome say that Capt. White did search the Hatteras Island region for the settlers after discovering they were gone, and none were found. Clearly, the mystery of the fate of the Lost Colonists is a long way from being resolved, however every summer the town of Manteo pays homage to the story by performing its nightly show, aptly named "The Lost Colony," which is America's longest running outdoor drama. The show runs from Memorial Day to Labor Day at the Roanoke Island Festival Park and has become a treasured outing for Outer Banks vacationers for decades. 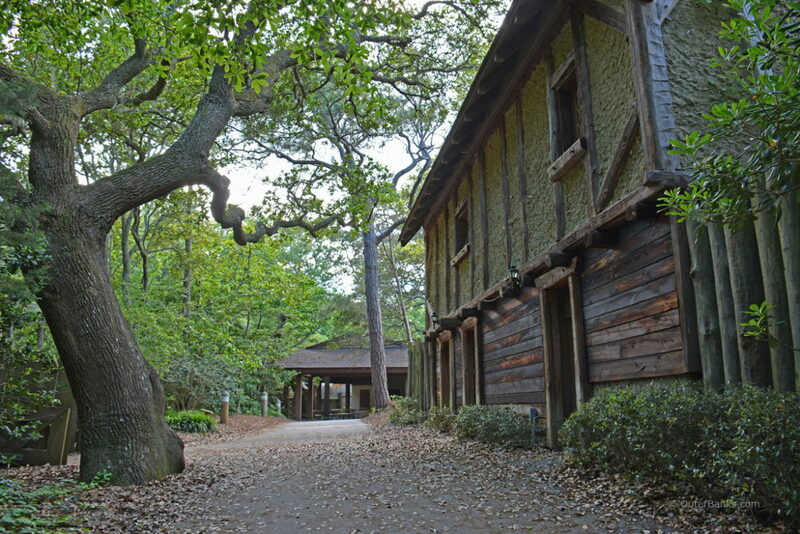 Tickets can be reserved in advance on The Lost Colony's website.